Incubator Kills 2 Children, Then Shoots Herself, But Not Fatally! A Tucson, Ariz., woman fatally shot her two young children and then shot herself, police said Sunday. Perla Morales, 25, survived the shooting. 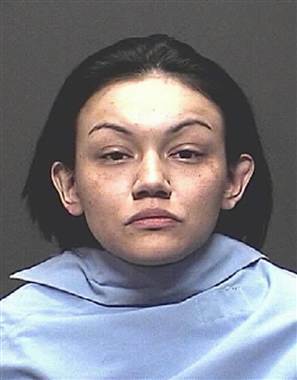 She was arrested and booked into the Pima County Jail on two counts of first-degree murder after her release from the hospital. The children were identified as Richard Rosovich Jr., 17 months, and Emma Rosovich, 4. Tucson police responded to a 911 call about a shooting at a residence in south Tucson just after 7 p.m. on Saturday. The baby was pronounced dead at the scene. The 4-year-old girl and the mother were taken to a hospital, where the girl later died, Sgt. Maria Hawke said in a press release. Re: Incubator Kills 2 Children, Then Shoots Herself, But Not Fatally! Interesting how these scumbags can kill the innocent, but, they always live! All of a sudden, they miss any vital organs!